We are excited to launch this blog to elaborate on Sargent Choice and the Sargent Choice Nutrition Center’s philosophy, and highlight new nutritional information in research and the media. Our posts will feature recipes, updates, and other tasty tidbits. You can also follow us on Twitter, and be sure to “like” us on Facebook. Looking for more information about Sargent Choice Nutrition Center? Or What exactly Sargent Choice is? Check out the official website! If there is something you would like to see, nutrition myths you want busted, recipe’s you want “healthified” Leave a Comment! We’re here to make nutrition accessible, easy, fun and most of all, delicious! Eating well just got easy. We’re a team of registered dietitians, graduate and undergraduate nutrition students, who work with Dining Services chefs, managers and staff, to create delicious recipes for campus that are also nutritious! Besides knowledge about nutrition, everyone on the Sargent Choice team has one more important qualification: we’re people who love to eat. We think everything you eat should always taste delicious. Exotic international dishes and home-style hamburgers. Hot, crusty pizza. Crunchy salads and creamy desserts. Who wants to give that up? Not us. And neither should you. Stacey is a licensed, registered dietitian with a Masters degree in Exercise Science from Boston University’s Sargent College of Health and Rehabilitation Sciences, and a Doctoral degree in Public Health from Boston University’s School of Public Health. In addition to helping individuals develop healthy behaviors to prevent or manage elevated body weight, eating disorders, high cholesterol, high blood pressure, cardiovascular disease and diabetes, it is Stacey’s goal to develop model health promotion programs for institutions including Weight Loss Essentials and the Sargent Choice Healthy Dining Program. 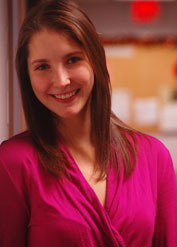 Sarah is a licensed, registered dietitian with a Masters degree in Nutrition from Boston University. As an undergraduate Boston University student Sarah was awarded the MDA Outstanding Dietetic Student of the Year for her involvement in the development of the Sargent Choice Healthy Dining Program. Sarah is passionate about helping people practice optimal nutritional behaviors for their individual lifestyles and specializes in vegetarian nutrition, disordered eating practices and weight management. Jennifer Culbert is a licensed, registered dietitian with a Masters degree in Nutrition from Boston University. Jennifer is passionate about educating and motivating individuals to reach their personal nutrition goals, specializing in eating disorders and weight loss. In addition to providing counseling services, Jennifer manages the practicum curriculum and placement of undergraduate nutrition majors and oversees the Weight Loss Essentials program for students interested in learning about nutrition and working toward their weight loss goals in a supportive team environment. Lisa Ferreira is a licensed, registered dietitian with a Bachelors and Masters degree in Nutrition from Boston University and a Certificate of Training in Youth and Adolescent Weight Management from the Commission on Dietetic Registration. She has provided nutrition counseling regarding a variety of medical conditions including cardiovascular disorders, cancer, and diabetes and has a special interest in the dietary management of food allergies and intolerances, celiac disease, and digestive disorders. Lisa has also been trained in FODMAPs for the dietary management of digestive symptoms. Lauren Ferraro is a licensed, registered dietitian with a Bachelors and Masters Degree in Nutrition from Boston University. Lauren enjoys helping people become motivated to reach their personal health goals. Specific areas of interest are nutrition for exercise and athletic performance, weight management, and wellness. Lauren is enthusiastic about teaching and making healthy choices more accessible to individuals. Rachel Reynolds completed her Masters Degree in Nutrition from Boston University. As a graduate student at Boston University, Rachel was awarded the MDA Outstanding Dietetics Student of the Year. Rachel is passionate about helping individuals fit healthy eating into their budgets and lifestyles. She has experience leading weight loss support groups and educating individuals ranging from high school students to older adults about healthy eating. Specific areas of interest are weight management, diabetes, cancer, and nutrition for exercise and athletic performance. Keelia O’Donnell is from Dorchester, Massachusetts and earned a dual Bachelor’s degree in Social Psychology from the University of Massachusetts Boston. She plans to pursue a Master’s degree from Boston University in the future. Keelia is a people-person who loves helping in any way that she can. Her goal is to ensure proper health services and provide the resources and information necessary to help everyone sustain a healthful lifestyle. Brita Orwoll grew up in Ann Arbor, MI and moved to Massachusetts to attend University of Massachusetts Amherst, where she completed her Bachelor’s degree in Public Health Education. She is currently enrolled in a dual degree graduate program at BU, where she will receive two Master’s degrees in Public Health and Social Work. Brita is passionate about ensuring that people have access to the necessary health information, resources, and services they need to sustain a healthy life style and prevent adverse health outcomes. Alyssa is a senior dual degree student at Boston University studying Dietetics in Sargent College as well as Journalism in the College of Communication. With interests in both nutrition and writing, she ultimately aspires to become a registered dietitian working at a nutrition/food/health magazine, which would perfectly fuse both of her passions. A self-proclaimed foodie, Alyssa loves to cook and is always eager to acquire new food knowledge by attending cooking classes, watching Food Network, and reading cookbooks and food magazines. As Sargent Choice’s number one fan, Alyssa is excited to share the benefits of Sargent Choice meals with the rest of the student body through social media outlets such as Facebook, Twitter, Instagram, as well as the Sargent Choice blog. Gina Petracca is a first year graduate student at Boston University, in Sargent College’s DPD/MS+DI program. Gina graduated from Bates College in 2010 and studied psychology with a focus on health behavior change. After graduation Gina spent 3 years working as an AmeriCorps member, and eventually staff member, for Share Our Strength’s Cooking Matters program in Massachusetts—a program that teaches low-income families how to prepare, cook, and shop for affordable, healthy, and delicious meals. During her last year as an employee, Gina’s primary focus at Cooking Matters was on healthy and affordable grocery shopping. In her spare time, Gina loves to dance, take long walks, and cook (and eat!) delicious and nutritious food. She is very excited to be a member of the Sargent Choice Social Media Team and looks forward to contributing to the Sargent Choice blog. Ellie Schulman, known to some by her first name Mia, is a junior in the College of Communication at Boston University. She hopes to graduate with a major in Film & Television and a minor in Psychology from the College of Arts & Sciences. Though she is not a student in BU’s Sargent College, she has always taken an interest in healthy living and has enjoyed her time working with the Sargent Choice program. As a COM student, Ellie has enjoyed planning promotional events to raise awareness on campus about all that the Sargent Choice Nutrition Center has to offer. She looks forward to continuing with the Nutrition Center as a Student Social Media Manager, working specifically with the Sargent Choice Blog, Facebook, Twitter, and Pinterest accounts. Stephanie Smith is currently a senior on the Nutrition and Health track with a Journalism focus. She is passionate about spreading the word on living a healthy lifestyle through social media and other health-related publications. After graduating, Stephanie hopes to go on to get her Master’s Degree in Public Health. Aside from cooking and watching the Food Network, she enjoys practicing yoga, drinking lots of tea, teaching herself to play the ukulele, and snapping photos at every meal. 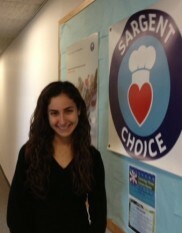 Stephanie is excited to be joining the Sargent Choice team as a test kitchen blogger. Jessica Crowley grew up in Carver, MA, just outside of America’s hometown. She is currently enrolled in the Dietetics program at Boston University. Jessica is a member of the Club Sailing Team. She is also passionate about food and its use in healthcare. Much like Sargent Choice, Jessica believes that the preparation of food is an art, which is not hindered but enhanced by healthy, thoughtful eating practices. Brett Eiffes is a freshman studying Dietetics at Boston University’s Sargent College. She has always been interested in the food industry but found her true passion for nutrition the start of her junior year of high school. Brett enjoys cooking, eating, and meeting new people. She is thrilled to be a member on the Sargent Choice team and to be working towards creating a healthier community. Elizabeth Kardas is currently a freshman in the Dietetics program in Sargent College. She is very excited to be a part of the Boston University community and the Sargent Choice Ambassador team. Elizabeth believes that food is the best way to bring people together, and this, combined with her strong passion for healthy eating and living, has driven her to pursue this path. She hopes to help spread her knowledge through recipes and conversation as a part of the SC Ambassador team. Elisha Machado is a freshman in the College of Communications at Boston University. She hopes to obtain a degree in Journalism from BU and be a news anchor someday. As a runner and dancer, Elisha knows how important it is to have a healthy lifestyle. She enjoys baking and cooking healthy meals for her family and friends in her spare time. Elisha is delighted to work with the Sargent Choice Nutrition Center team and help promote their great mission. Anna Lee is a freshman in the Dietetics program at Boston University’s Sargent College and a member of the Sargent Choice Promotional Team. As a swimmer and a tennis player, she recognizes the importance of maintaining a healthful diet and lifestyle, and her mother exposed her to healthier alternatives to her favorite foods. In coming to Boston University, Anna was thrilled to learn about the Sargent Choice program and how much it offers to students. She is excited to expand her knowledge in the field of Dietetics in the years to come, while sharing it with the student body through the Promotional Team. Rachel Priebe is currently a senior studying Nutritional Science at Boston University’s Sargent College. She loves the Sargent Choice program and is thrilled to be able to share information about healthy eating with the students of Boston University. Rachel plans to attend medical school in order to become a Primary Care Physician and intends to use her nutrition background to provide a strong focus on preventive medicine. Jennie Rhee is a freshman, studying Dietetics at Boston University’s Sargent College. Passionate about food and health, she cannot wait to share her knowledge about the physical and mental benefits of eating a well-balanced meal and pursuing a healthy lifestyle. Megan Smith is a sophomore majoring in Journalism at Boston University’s College of Communications and minoring in Psychology. She is passionate about fitness with a key focus on nutrition and enjoys cooking and modifying recipes to create healthier alternatives. Megan enjoys sharing her knowledge to help others improve their overall health and believes there are many simple ways to nourish your body to maximize performance. Megan aspires to utilize photo, print, and broadcast journalism serving as a social entrepreneur abroad while raising awareness for human trafficking and public health. Margo Wilson is currently a freshman studying Journalism in the College of Communication at Boston University. Margo was born and raised in Costa Rica and is loving her new life on the East Coast. One of the main reasons she was so inclined to come to BU was the Sargent Choice program in the dining halls as well as all the other health promoting components present on and around campus at Boston University. She is thrilled to be a part of the SC Ambassador team because nutrition and fitness are her passions. Margo prides herself in being an advocate for healthy lifestyles both physically and mentally and hopes to transfer into Sargent College to major in Dietetics. Jenna Amos graduated from the Nutritional Sciences undergraduate program in Sargent College at Boston University. She looks forward to enrolling in a Dietetic Internship en route to becoming a Registered Dietitian. Jenna was involved with the Sargent Choice healthy dining program for three years and helped with everything from recipe modification to promotional events. After completing her Dietetic Internship, Jenna hopes to pursue a career in nutrition with a focus on business and communications. follow her on Twitter @jennard2be. Julia Brandeis is a junior studying Dietetics at Boston University’s Sargent College. She believes food is the best medicine and plans to become a Clinical Dietitian after completing her Dietetic Internship. Julia is passionate about sharing her love of food with others and enjoys engaging with students at the Sargent Choice Test Kitchens. She looks forward to teaching others about choosing healthier alternatives and eating a more balanced diet through her work with Sargent Choice and the Boston University Nutrition Club. In her senior year in the Boston University Sargent College Dietetics program, Kelli is excited to be immersing herself in the nutrition world both in the classroom and in the community through the Sargent Choice Nutrition Center. Although food is her first love, writing is a very close second. Kelli is beyond excited to be managing the Sargent Choice blog and hopes to eventually incorporate nutritional communications into her future dietetic career. She is enthusiastic about changing the public’s misconceptions about health and nutrition and hopes to work in schools and universities to promote the importance of a healthy body image. As she is still a student, all of her posts are approved by the RDs of the Sargent Choice Nutrition Center before being published. Allison Mars is a senior in Sargent College studying Dietetics. As co-social media manager for Sargent Choice she has realized her interest in nutrition communication. She hopes to share her passion in nutrition and help dispel some myths regarding the role of a dietitian. With her experience working in the Nutrition and Food Services department at Mass General Hospital she hopes to marry clinical interest and communication to provide sound nutrition information to the public as a RD. Allison hopes to share her love of Sargent Choice with the BU community and introduce her peers to healthy and delicious food. As she is still a student, her posts are approved by the RDs of the SCNC before being published. 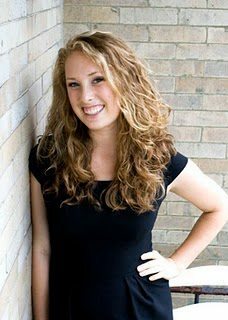 Megan is a senior in the Dietetics program at Sargent College. She has enjoyed experiencing the growth of the Sargent Choice program throughout her two previous years of involvement. Megan is thrilled to take on a leadership role as a Sargent Choice Ambassador this year. Through both her work with Sargent Choice and as President of the Nutrition Club she enjoys spreading her passion for food and health to the Boston University student body. Megan is eager to become a Registered Dietitian, so she can help others understand the importance and simplicity of general nutrition and wellness. Mike Melkonian is a senior studying History in the College of Arts and Sciences. This is his second year working with Sargent Choice. He is also a member of BU On Broadway, a writer for BUTV’s “The Morning After,” and the President and founder of the Food Intolerance Network, a student group that promotes awareness about food intolerances to the Boston University Community. Bianca Tamburello is a junior studying Dietetics at Boston University’s Sargent College. She is thrilled at the current focus of nutrition and wellness in the country and is excited to share her love of food and wellness with others on campus. Bianca hopes to work with food policy on the national level and have a positive influence on the direction in which policies are changing. She is excited to implement nutrition education programs and prevent nutrition-related disease for future generations. For as long as he can remember, Tyler Tweedel has loved food. He loves to grow food; he loves to make food; and he loves to eat food. It is this passion for all things gastronomic that led him to the Sargent Choice program. Tyler saw no better way to express his concern for health than by serving on a team devoted to the promotion of healthy eating on campus. As an International Relations major, Tyler knows we are always striving to bring people together, and breaking bread is perhaps the best way to do so. He hopes that his efforts will help the Sargent Choice program to better serve the needs of his peers.